This package caters to the larger group, company picnics, graduation parties, community events. 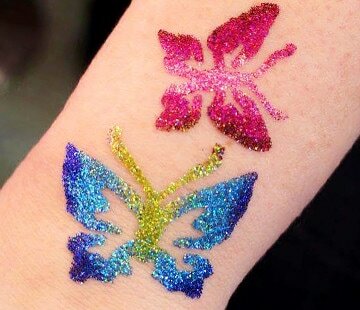 When your artist arrives she will set up with a few select design choices and a great assortment of glitter to give your guests a little tattoo to remember the fun they had at your event. 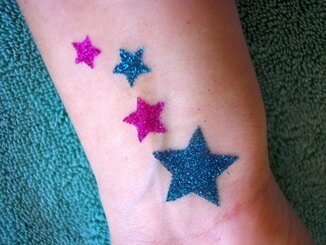 Each guest will get 1 tattoo of their choice, and a smile that shines as bright.